Hotel Trundle is the hippest boutique hotel around! They support local artists, local products and have a mission to grow a vibrant art & music scene in Columbia! Join the Mark Rapp Group with Nicholas Vlandis, David Levray, Mark Rapp and Chris Church as they present JAZZ! 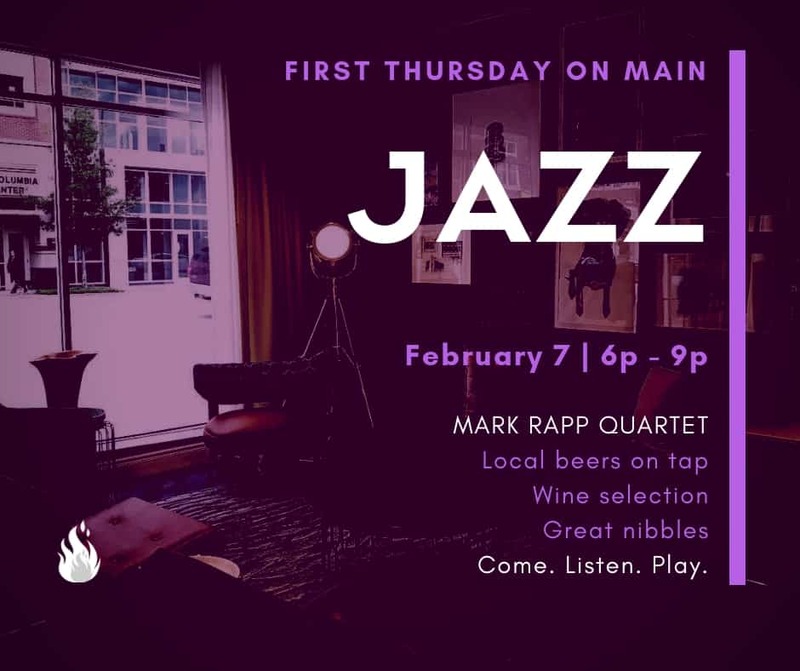 for First Thursday on Main, February 7th, 6p-9p. During our breaks a Freeway Music student will entertain you! Yes indeed, that’s what we do – help the up and comers! And FOOD with SPECIAL GUEST Tyra’s Big World Of Flavor brought to you by Jeannie Jackson’s #tastythursday! Check out this young teenager cooking sensation! This is Columbia! Come. Listen. Play. Enjoy!